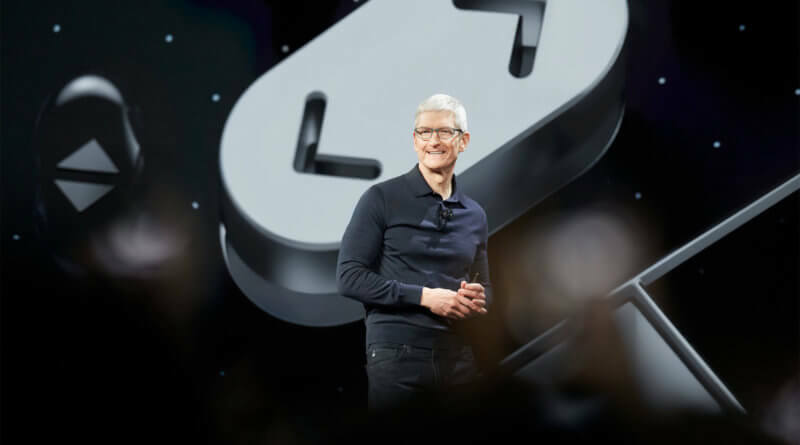 Tim Cook was on stage at WWDC 2018 this week (4th June 2018), the big conference for developers. Unlike the keynote, this event is an opportunity to present the new features of its OS and not hardware. This year again, Apple had many novelties to present, including its new macOS: Mojave and IOS 12. The new Mojave macOS will come with a dark mode. The MacBook’s screen is of exceptional quality, but its brightness can sometimes be tiring for the eyes. 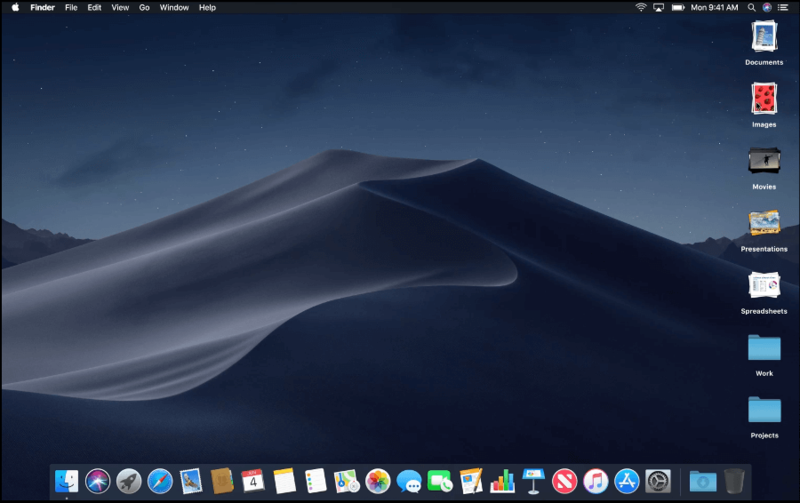 Apple is finally offering a Dark Mode for macOS Mojave, the future Mac OS. All menus and windows are black or gray which is more ideal for outdoor or brighter environments. 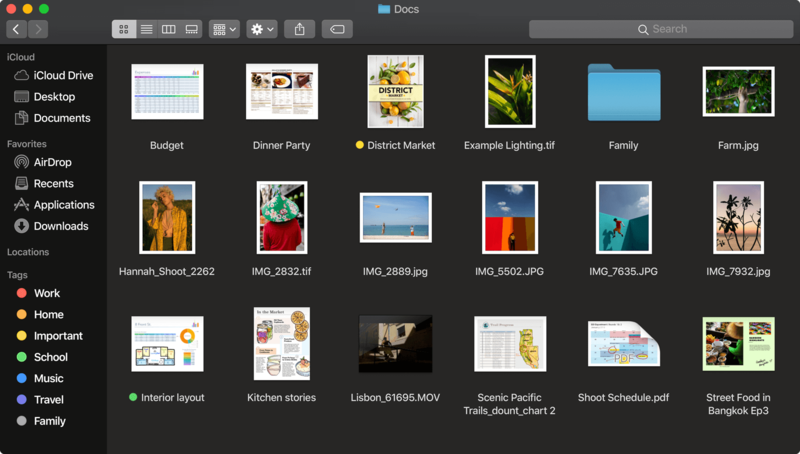 Another cool feature on the Mojave macOS is “Desktop Stacks“, this will automatically clean up your desktop by organizing your files into different groups and placing them into a specific stack (basically like a folder) based on the file type. Additionally you can also tag your files with specific meta data, for example client names, then your files will automatically be arranged in that specific stack. You will then be able to view all the files in a specific stack by hovering over it, or clicking to expand. Apple will also offer a “Gallery View” in the finder, allowing you to scroll through the photos more simply by having access to their metadata. We can also edit the photos directly from the finder. An update that will surely be very useful for basic modifications. The new iOS 12 is supposed to help you sleep better at night by introducing a new “Bedtime mode” to the “Do Not Disturb” feature. Improvements include dimming the display and hiding all the notifications on the lock screen until you unlock your phone again in the morning. Screen Time will give you an insight on how you’re using your phone by showing you the time you spend on each category, for example, gaming, social and entertainment. 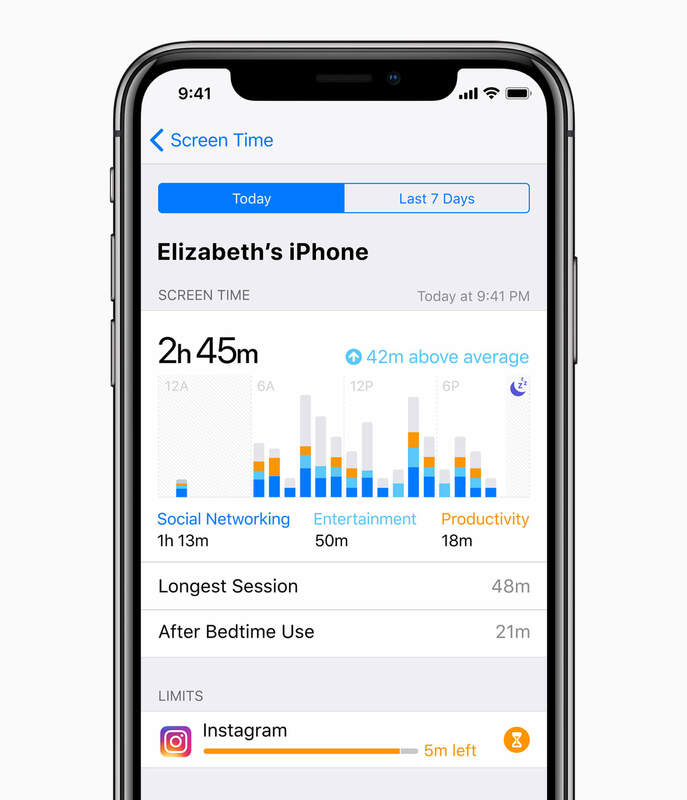 Screen Time will also display the daily time spent on each app and will even allow you set daily limits for a specific app, a notification will then be displayed when you reach the limit. FaceTime has been upgraded significantly, as you will now be able to accommodate up to 32 participants with a new feature called “Group FaceTime”. You will have the ability to choose who you want to see on the screen. In less than two years, augmented reality has become a central argument in Apple’s speech, aimed at the general public and developers. 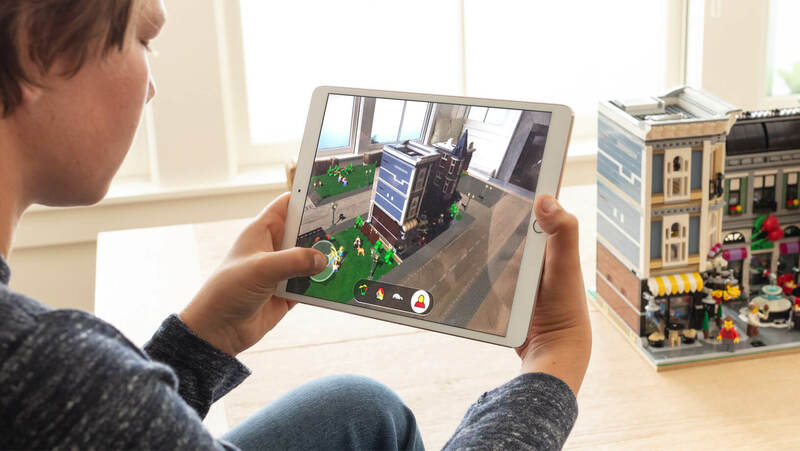 For the second year in a row, WWDC was an opportunity for Apple to talk about this technology and introduce ARKit 2, the set of tools for creating augmented reality applications in iOS. ARKit 2 introduces the ability to create persistent augmented reality experiences. By allowing different devices and users to share the location of virtual objects in real locations. iCar or Project Titan: Apple's Future to include driverless cars? ← Pokémon Quest: best free game on the Nintendo Switch?